ISLAMABAD, PAKISTAN (ANS) — Pakistan’s top court has rejected a challenge to the acquittal of a Asia Bibi on blasphemy charges. The BBC reports the Pakistan Supreme Court upheld its decision to overturn Asia Bibi’s conviction and death sentence. Bibi was originally convicted in 2010 after being accused of insulting the Prophet Muhammad in a row with her neighbours, and spent eight years on death row. She has always maintained her innocence in a case that has polarised Pakistan. The Supreme Court’s quashing of her sentence last October led to violent protests by religious hardliners who support strong blasphemy laws, while more liberal sections of society urged her release. Hardliners had petitioned to overturn this ruling. “Based on merit, this petition is dismissed,” Chief Justice Asif Saeed Khosa said in court on Tuesday. 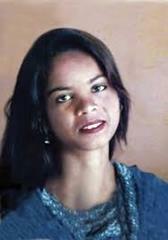 Asia Bibi – also known as Asia Noreen – was unable to leave Pakistan while an appeal request was pending. “She should now be free to reunite with her family and seek safety in a country of her choice,” Amnesty International said in a statement. Bibi is currently being kept by authorities at a secret location in Islamabad. The ruling clears the way for her to leave Pakistan, though it is not clear when that will happen and where she will go. She has been offered asylum by a number of countries, and some unconfirmed reports say several members of her family may already be abroad. Meanwhile, the court ruling will test the resolve of the far right Tehrik-e-Labbaik Pakistan group, which has conducted a violent anti-blasphemy campaign in the past, though many of its leaders have been under arrest since October when the court first acquitted Asia Bibi. In a concerted move to forestall public unrest, Pakistani electronic media is underplaying the story. Many observers believe the ruling will revive the practice of applying standard legal tests of criminal procedure while adjudicating blasphemy cases, as they had increasingly become hostage to vigilante justice by extremists. What was she accused of? The trial stems from an argument Asia Bibi had with a group of women in June 2009. They were harvesting fruit when a row broke out about a bucket of water. The women said that because she had used a cup, they could no longer touch it, as her faith had made it unclean. Prosecutors alleged that in the row which followed, the women said Asia Bibi should convert to Islam and that she made offensive comments about the Prophet Muhammad in response. She was later beaten up at her home, during which her accusers say she confessed to blasphemy. She was arrested after a police investigation. No "fake news" here. The Gospel is our motivation. Our passion is to glorify God by reporting on World Missions, the persecuted church, and stories and events that inspire our daily lives for Christ. ANS was founded by Dan Wooding to inform, educate, and inspire about all that God is doing in today's culture. Assist News mobilizes Christians to intervene on behalf of the persecuted church. Copyright 2018 Assist News. All Right Reserved.